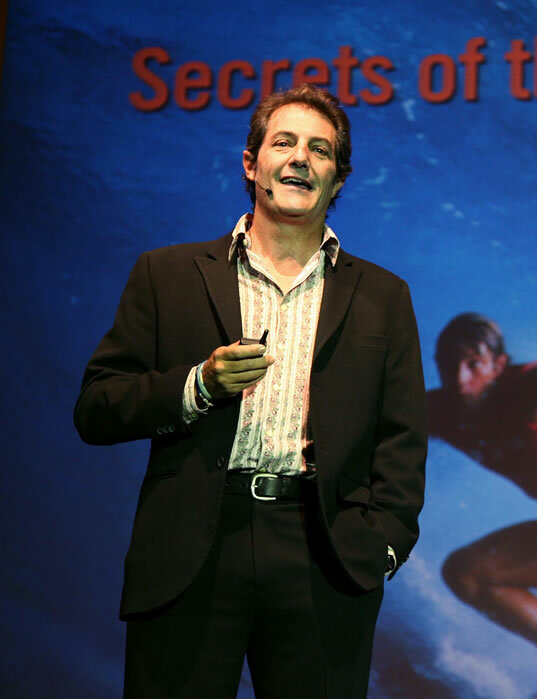 Shaun Tomson - Shaun Tomson is available for keynote presentations at corporate events, seminars, forums, live events, exhibitions and conferences around the world. Live by the Code – Business from SHAUN TOMSON on Vimeo. A summary of some recent keynote speeches by Shaun Tomson. My team was blown away! “Surfer’s Code – 12 Simple Lessons for Riding through Life“, Shaun Tomson shows the influence of positive values on success in life and business and will transform how you think about connecting, communicating and collaborating. Based on his own experiences in and out of the surf Shaun Tomson has inspired and touched the hearts of audiences all over the world. Shaun’s attitude of Commitment and Positivity has inspired corporations like General Motors, Cisco, Price Waterhouse, Toys R Us, Sasol, Disney, Google, Primedia, MTN and Adcock Ingram. Shaun Tomson offers up a profound set of action principles to show one how to get back on the board after a wipeout and paddle back out to catch and successfully ride the next wave. We all live in a challenging sea and our attitude towards those challenges defines who we are, and how we live our lives. Contact us at shauntomson@yahoo.com or Call (805) 886-1775 to learn how Shaun Tomson can help you and your company build positive values, positive leaders and a positive life at every level.